American lawmakers introduce bill prohibiting President Obama from providing Iran direct or indirect access to the financial system. A group of American lawmakers have introduced the Preventing Iran’s Access to United States Dollars Act of 2016 (H.R. 4995), which would prohibit President Obama from providing Iran direct or indirect access to the U.S. dollar or the American financial system. The initiative, by U.S. Representatives Peter J. Roskam (R-IL), Mike Pompeo (R-KS), and Lee Zeldin (R-NY), came following recent news reports that the Obama Administration may seek to ease some of the sanctions on Iran by allowing foreign transactions with Iran to be conducted in dollars. 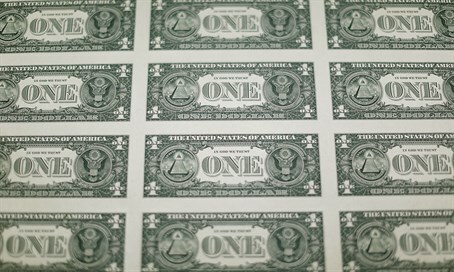 In a statement, the lawmakers noted that senior administration officials had in the past promised Iran would not be given access to the U.S. dollar, with Treasury Undersecretary Adam Szubin, Director of the Office of Foreign Assets Control, having explicitly declared the deal would not allow Iran to "dollarize a foreign payment". Treasury Secretary Jack Lew told the Senate Foreign Relations Committee in July "Iran will continue to be denied access to the world’s largest financial and commercial market" because it won't be able to clear dollars, noted the statement. The lawmakers also noted that Mark Dubowitz and Jonathan Schanzer of the Foundation for Defense of Democracies wrote in The Wall Street Journal of the danger of allowing Iran access to the dollar. “The Financial Action Task Force, a global antiterrorism finance body, maintains a severe warning about Iranian financial practices. Last month it warned that Iran’s ‘failure to address the risk of terrorist financing’ poses a ‘serious threat . . . to the integrity of the international financial system.’ The Treasury Department also recognizes the danger, in 2011 labeling the Islamic Republic a ‘jurisdiction of primary money laundering concern.’ That finding, which remains in place, cites Iran’s ‘support for terrorism,’ and ‘illicit and deceptive financial activities,’” they wrote.